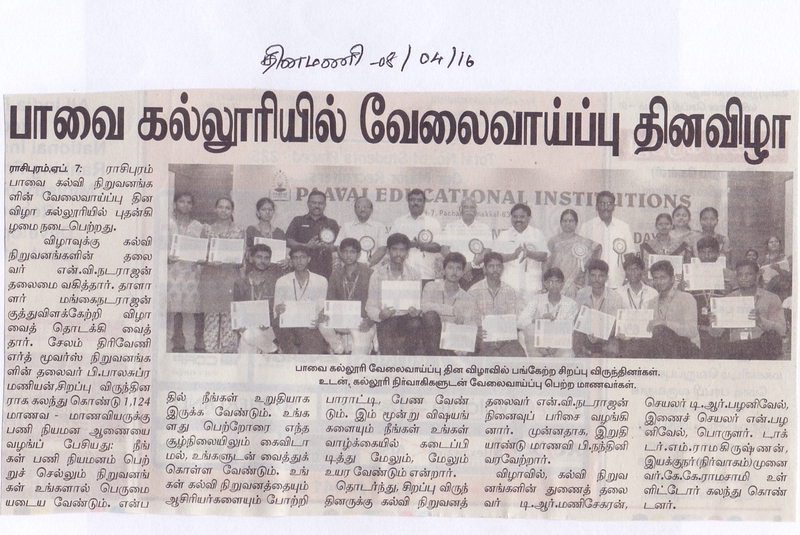 Paavai Engineering College received the "Internshala Student Partner"
Paavai Engineering College is Champion again!!! 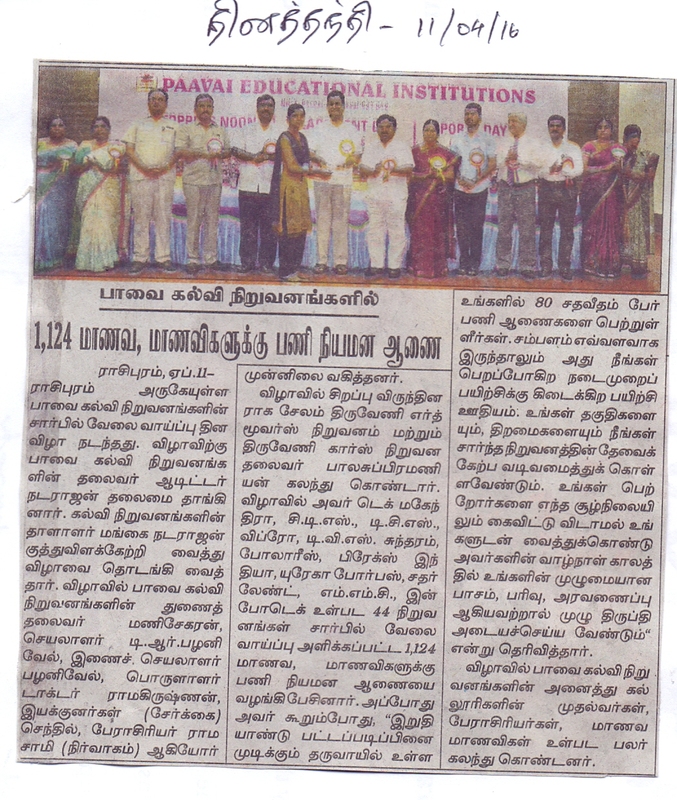 ORIENTATION PROGRAM FOR THE FACULTY OF RSK GROUP OF SCHOOLS BHEL,TRICHY. Paavai Microsoft Innovation Center - Lecture on "dotnetConf.local"
Paavai Microsoft Innovation Center - Conference on "Learn IoT with Raspberry Pi"
Paavai Microsoft Innovation Center - Lecture on "Understanding Universal Windows Platform"
Campus Drive - Infac India Pvt. Ltd.
Campus Drive - MMC Infotech Services(P) Ltd.
Campus Drive - Polaris Consulting and Services Ltd.
Campus Drive - IDBI Federal Life Insurance Co Ltd.
Campus Drive - TVS - Sundaram Fasteners Ltd.
Campus Drive - Accurate Steel Forgings (India) Ltd.
Special Lecture on "Digital India Week (Digital Locker)"
Annual Day Celebration - Part II on 06.02.2014. 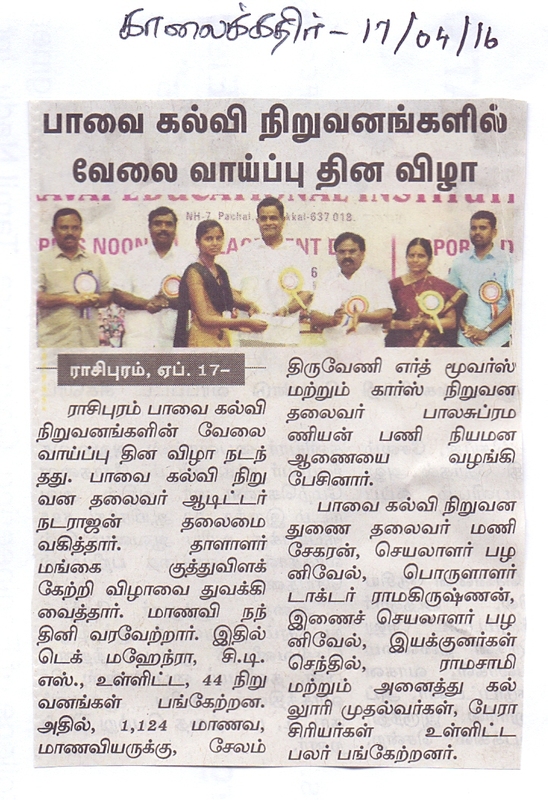 Anna University PG Theory Examination Commences on 10.05.2016. Association inaugural function of all departments was held on 19.07.2017 and the function was inaugurated by the Chief Guest Dr.
Our First Year Students are going to Trekking at Yercaud on 23.09.2017. Paavai is a very beautiful and clean campus. The professors and students are very polite. Welcome to visit or study in Taiwan. I am impressed by the cleanness and warm hospitality by Paavai, the moment, we step in. we will cherish our friendship. Thanks. ‘Cheng Kung’ means ‘Success’ in Chinese. 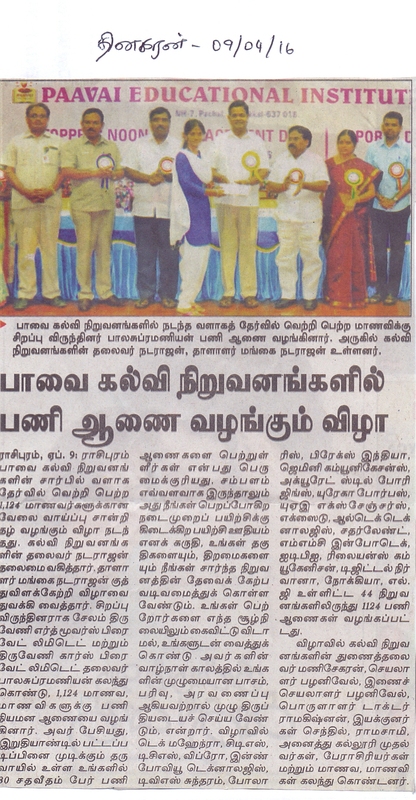 I wish in the future PAAVAI becomes a great success in incubating younger generation of this great country,India. Very Good Campus for technical learning and human values. I wish all success in the future. One of the best campuses I have seen. Impressed by the hospitality & the projects displayed.